Volunteer for the Discover Connecticut Tour Series 2016! There are tons of ways to get involved. Fill out the short form to let us know you're interested. Be sure to note which tour(s) you would like to volunteer (see comment box below) We'll be in touch soon with more specifics. As a small, lean, not-for-profit, we rely on volunteers to help fulfill our mission - so thank you for offering to help out! 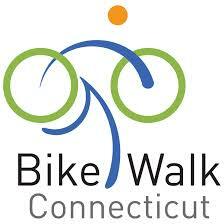 * Please note that because Bike Walk Connecticut relies heavily on the proceeds of the Discover Connecticut Bicycle Tours to fund our good work, we encourage (but do not require) everyone who rides as a marshal, sweep, mobile mechanic or in any other role, to please be a paid registrant. Thank you for understanding.